What little girl doesn't love horses? My daughter certainly does, she loves looking for the horses in each pasture we drive by. 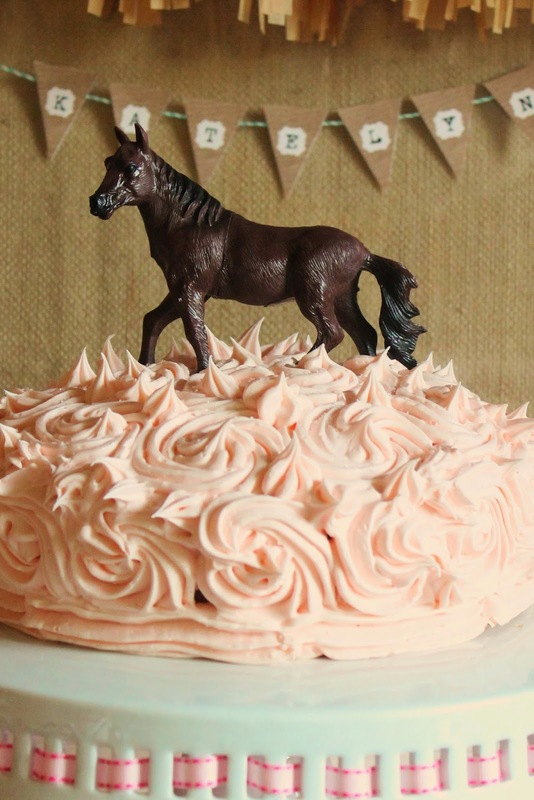 So for her last birthday we decided on a horsey theme! She really loves pink so of course that had to be a part of the color scheme and then I chose the teal, what a great color combination. Check out all the photos below and leave a comment with any questions or thoughts! I made this banner using my Cricut; cut out the shapes and letters and then assembled. I love making my own banners, they are relatively easy to make and really make a great party piece. When guests arrived they were immediately greeted with the horsey theme. 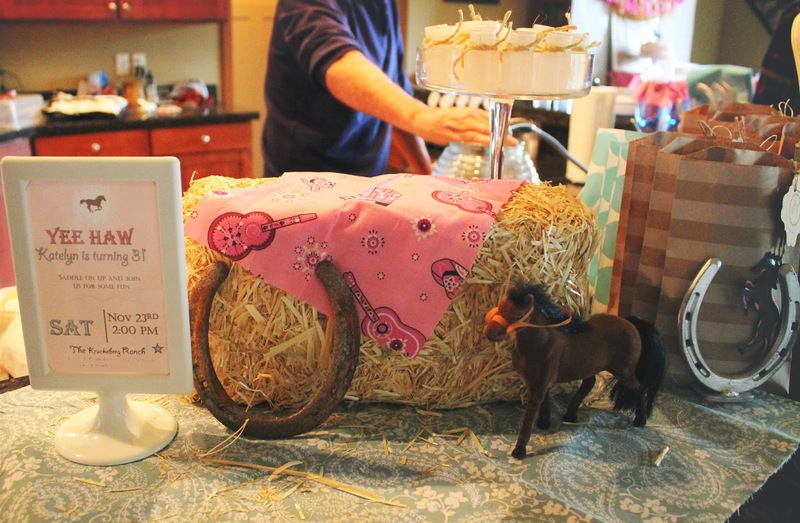 Printables were created by me, I laid out some hay and toy horses next to the treat bags. I had bubbles for the kids to take home as well. Guests were given little treat bags to take home with a horse ornament attached. Treat bags are from The TomKat Studio. 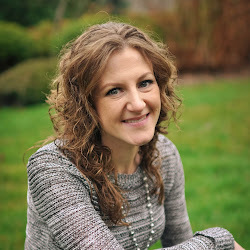 I highly suggest you check out this site if you haven't already, Kim with TomKat is an amazing party planner/stylist and you can not only get some great ideas and inspiration but she also has a full shop full of all your party supply needs! We had "pony rides" for the kids. Since my daughter's still a little too young for the real deal we set up a wooden rocking horse with a pink bandana for all the little kids to ride. Banner was made my me, I cut large burlap flags and attached the paper letters, then attached with tiny clothes-pins to the jute twine. We had lots of food; bbq sammies, chips, veggies, fruit, rice krispies as haystacks, muddy buddies snack mix and of course cake! 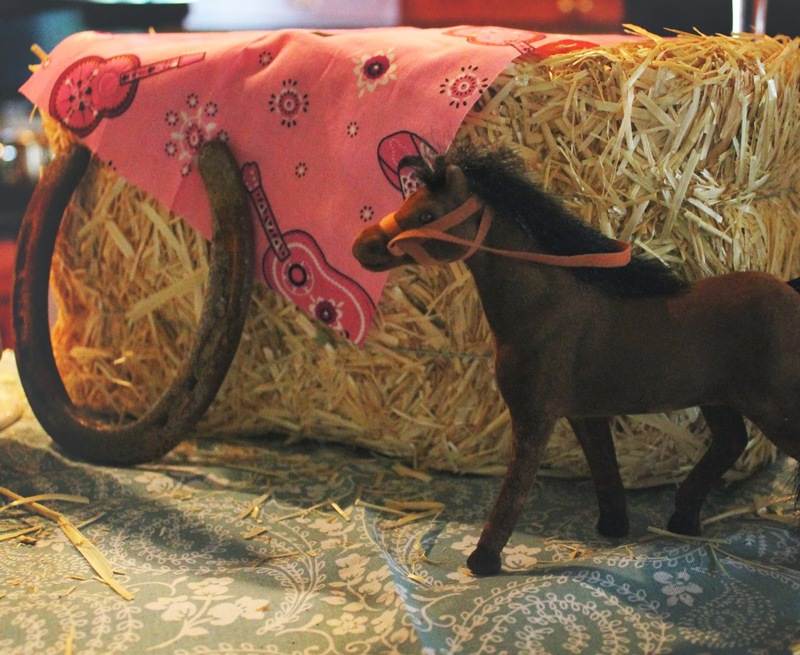 Close up of the cake I made with a horse toy as the cake topper. My first attempt at making tissue tassel, not as easy as it looks. It is very time consuming but I think the end result was worth it. (Sorry for the bad photo). My daughter and all her little friends had a great time. 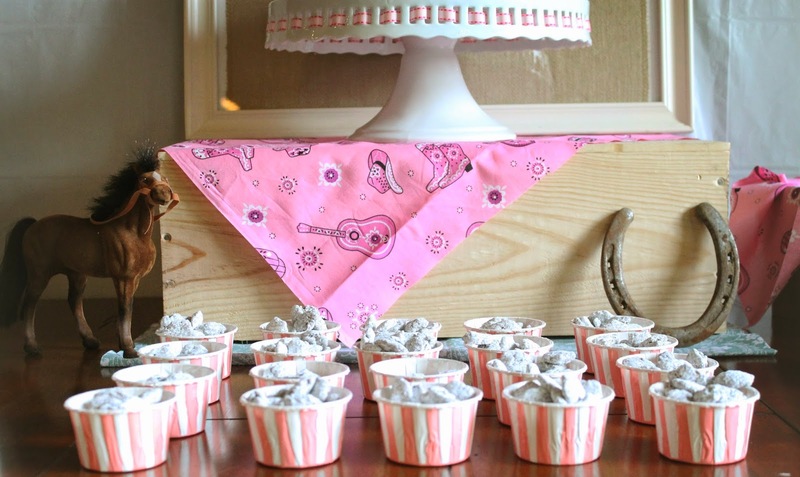 I loved planning and seeing this party come to life, and I'm already on the hunt to plan the next birthday! 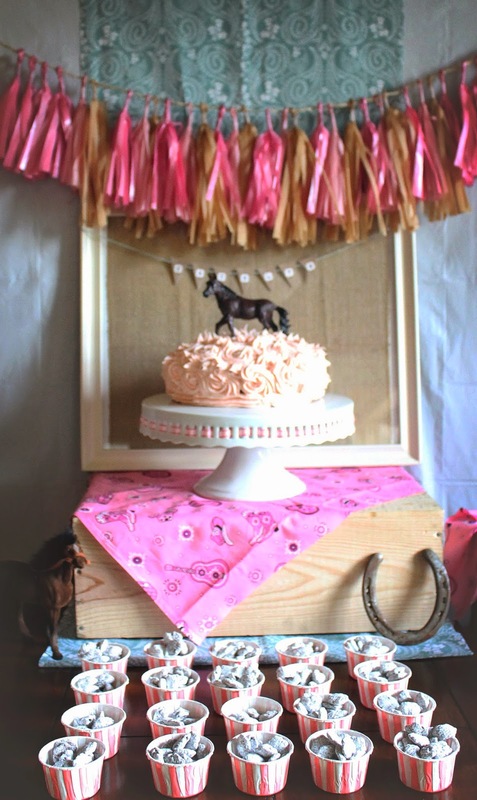 Thanks for looking, hope you can get some great inspiration to plan your horsey party! Join the party linked up on The NY Melrose Family & Seven Thirty Three. Recently featured on Creative Party Place. Check it out!